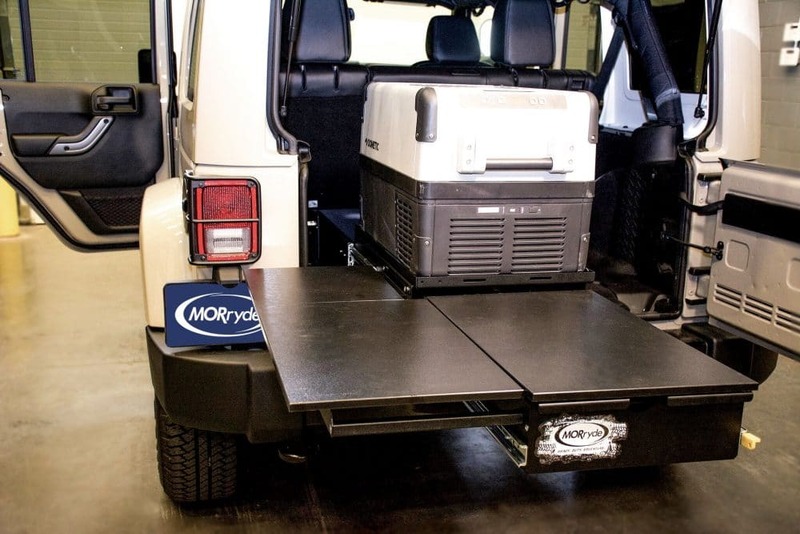 A compact, modular bolt-in kitchen system that fits in the back of the Jeep Wrangler, perfect for tailgating or off-road overland adventures. 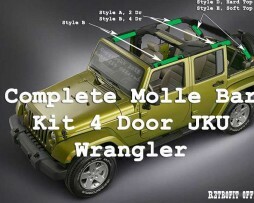 Tired of those ripped, scratched, loud, hazy plastic windows on your Jeep Wrangler JK or JKU half doors? 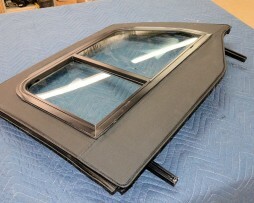 We have the perfect solution to those inconvenient plastic half door windows! 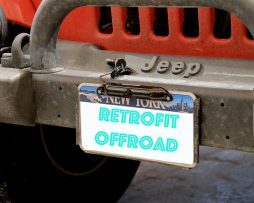 Retrofit Offroad has you covered whether you drive a YJ, TJ, JK, or JL. 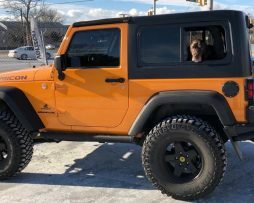 If some of your travel companions are the four-legged kind they’d appreciate having a good flow of fresh air in the cargo area of the Jeep and we have the perfect solution! 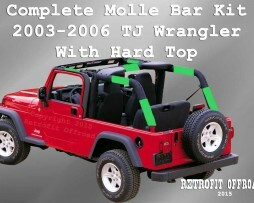 A shortcoming of the Wrangler hardtop is the lack of flow-through ventilation, especially in the back. 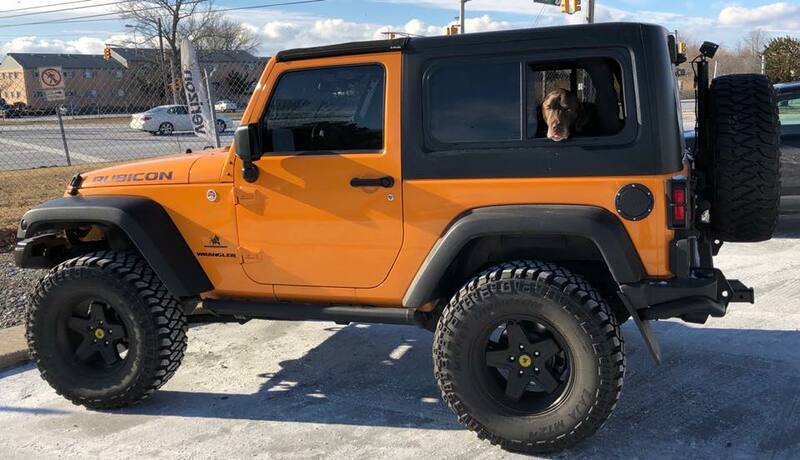 If some of your travel companions are the four-legged kind they’d appreciate having a good flow of fresh air in the cargo area of the Jeep and we have the perfect solution! 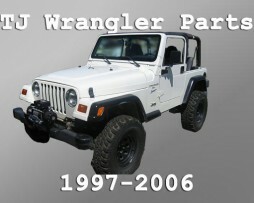 Check out all of our products for your Jeep YJ, TJ, JK, or JL! 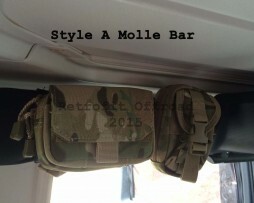 Add-ons Available – MOLLE Grid (JP54-039), Fold-Out Counter (JP54-040), and Clip On Countertop (JP56-024) Sold Separately. 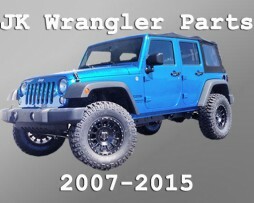 Designed to bolt on 2007-2018 Jeep Wrangler JK Unlimited (4 Door) WITH Bolt on kit (JP54-041). 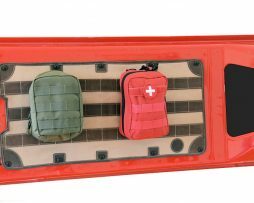 The Base Trail Kitchen can be installed on any other flat vehicle surface (2 Door Jeep Wrangler, Toyota 4-Runner, Truck, Trailer, etc.) 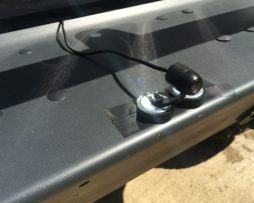 with drilling a few holes to mount it. 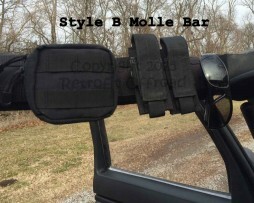 The MOLLE Grid Panel easily bolts on to the outside of the Jeep Trail Kitchen to create more storage space. 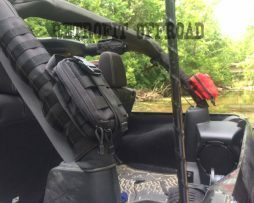 The MOLLE Grid is conveniently designed to carry MOLLE pouches and is also predrilled to mount a Rotopax, Rubican, or similar water container for the Kitchen. 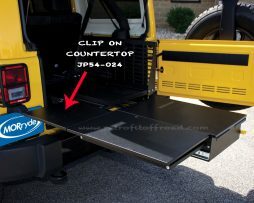 The Clip On Countertop (JP56-024) is a simple way to add counter space to the Trail Kitchen. It works with or without the Fold-Out Countertop to create more work space for cooking. 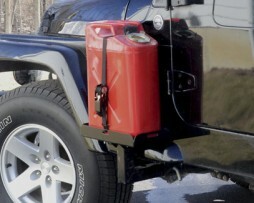 It simply slides on to the Trail Kitchen and is easily stored in the Trail Kitchen storage when not in use. 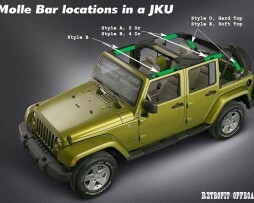 The Fold-Out Countertop easily bolts in to the Jeep Trail Kitchen to create more counter space. 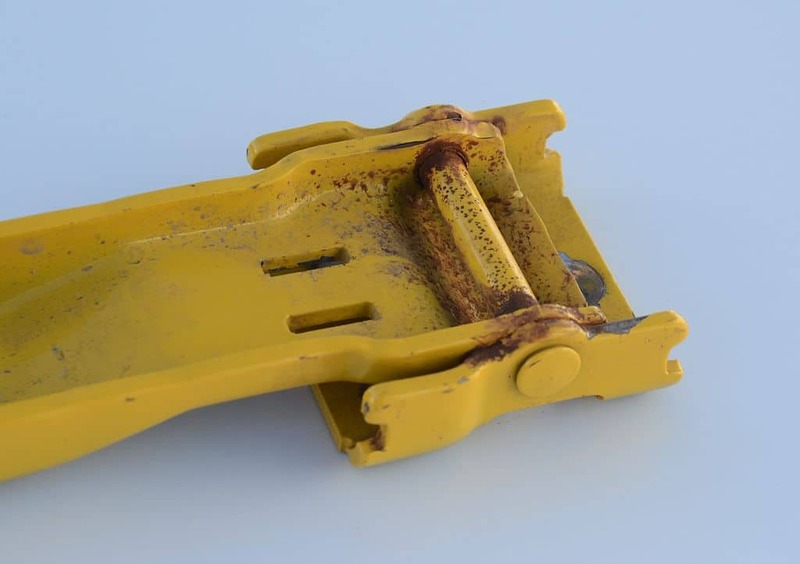 The Fold-Out Countertop is installed with a hinge in the storage compartment and quickly folds out to create more counter space. 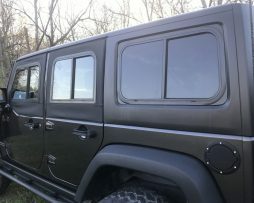 Jeep Wrangler JK (2 Door) Factory Hardtop Slider Window Retrofit Kit 2011-2018. 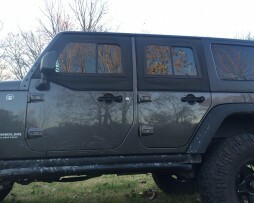 The JK Hardtop Retrofit Slider kit includes Driver side and Passenger side Hardtop slider windows and all the necessary hardware, weatherstrip and instructions for installation. 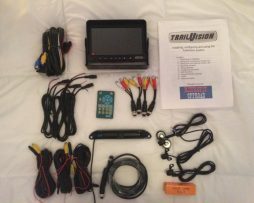 For more installation information please click on our installation tab and you can download the installation guide. 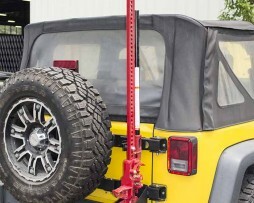 Our MORryde Jeep JK Hi-Lift Jack Carrier is the perfect way to carry your Hi-lift Jack on your Jeep Wrangler JK or JKU. 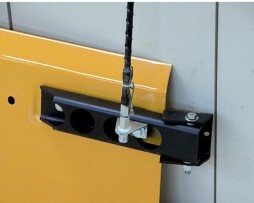 This hi-lift jack carrier mounts to our MORryde JK Heavy Duty Tailgate Hinges. 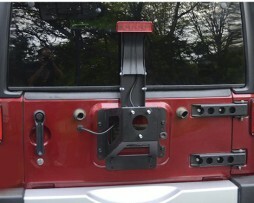 Installation is simple and easily bolts to our JK Heavy Duty Tailgate Replacement Hinges. 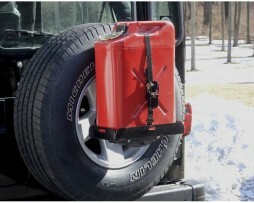 *The Hi-lift Jack Carrier is designed to work with up to a 35″ spare tire. 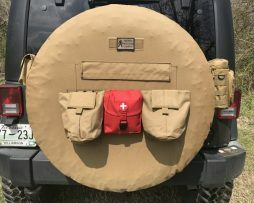 Big tires mean big adventures for Jeep enthusiasts, but it also means a big burden on your tailgate when you haul the spare. 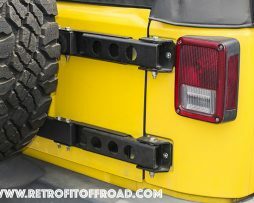 Introducing MORryde’s Jeep Wrangler TJ Tailgate Complete Reinforcement Kit (JP54-022), an American-made Jeep Wrangler TJ accessory that provides added reinforcement to reduce weak points in the factory tailgate-hinge system while retaining Jeep’s iconic look. 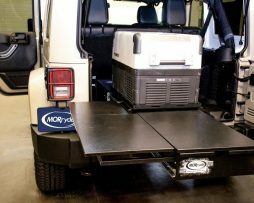 Unlike most swing-away spare carriers, this laser-cut and welded tailgate reinforcement kit doesn’t add hundreds of pounds to your vehicle, and unlike competing cast-aluminum carriers, MORryde’s system reinforces the entire spare carrier, not just the right side, to prevent your tailgate from cracking. 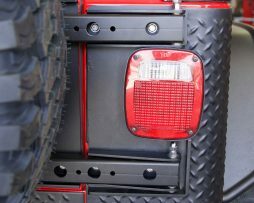 This accessory is compatible with factory and aftermarket bumpers, along with factory spare tire carriers. 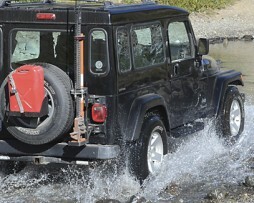 With your adventurous attitude and determined spirit, you tend to get yourself stuck in between a rock and a hard place. 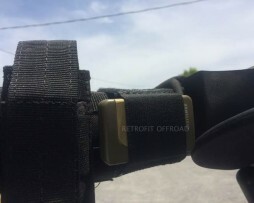 . . literally. 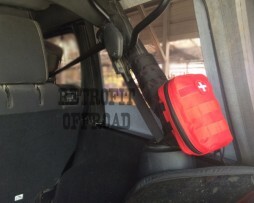 With the help of your nifty Offroad Jack and the support of the MORryde Offroad Jack Carrier, you will be able to play more and worry less. 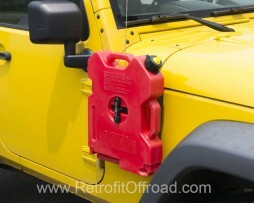 Our heavy-duty Jeep accessories are durable and stand the test of time. 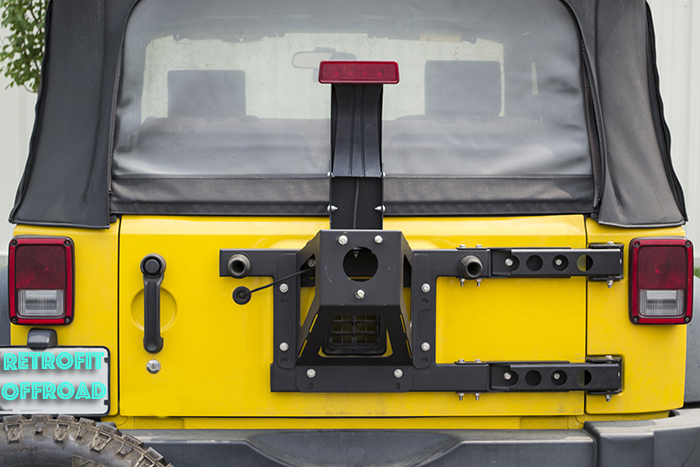 Our Offroad Jack Carrier easily mounts to the Heavy-Duty TJ Tailgate Hinge Upgrade (sold seperately) with just a few pieces of hardware. 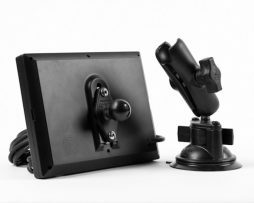 The beautiful thing about the MORryde Jeep product line is that they were designed specifically to be used with our other Jeep products. 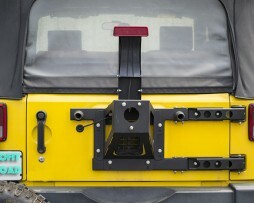 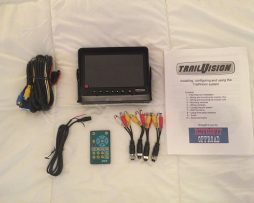 The Offroad Jack Carrier has provision for mounting the CB Antenna Mount so you can stay connected on your adventures. 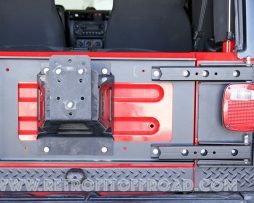 For the ultimate tailgate upgrade (and reinforcement), pair your Offroad Jack Carrier with the MORryde Heavy-Duty Tailgate Hinge. 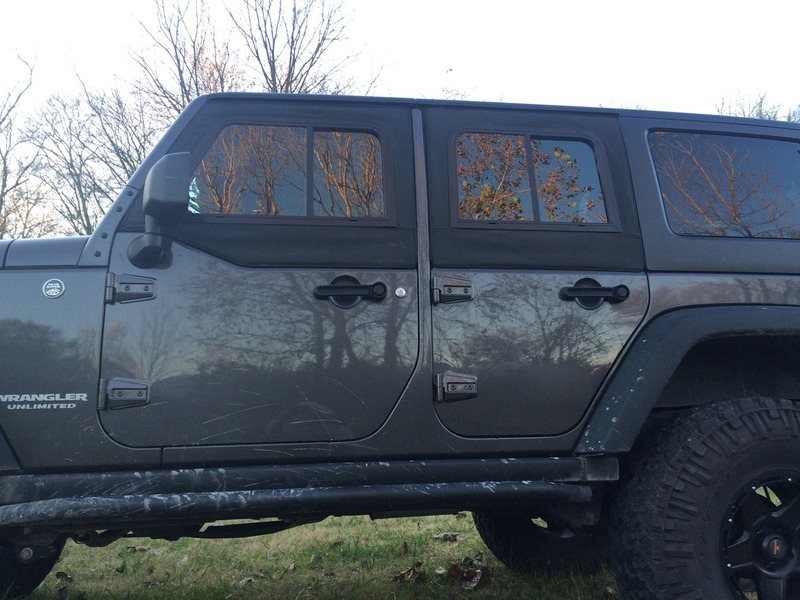 Whether you are a weekend warrior or a mom of four, your Jeep brings you a sense of adventure. 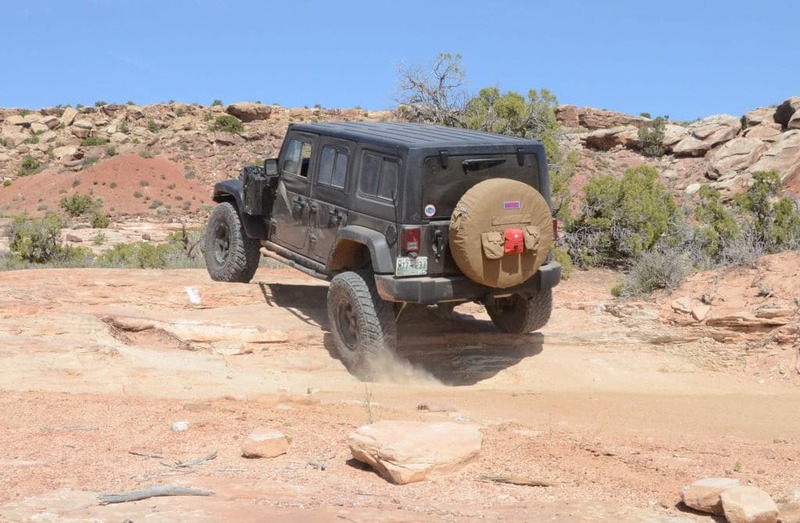 The iconic Jeep Wrangler JK can be seen driving down the interstate or on the rugged trails of Moab, but regardless of where your Jeep Wrangler leads you, one thing remains relevant – there just isn’t enough space. 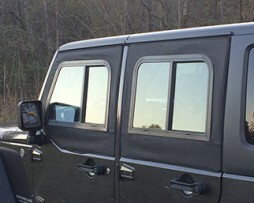 Like all vehicles – big or small – space seems to be an issue. 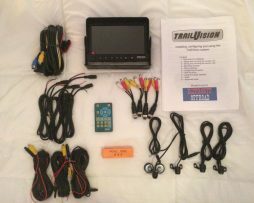 Every square inch is packed with your air fresheners, your kid’s toys, your spare change, your car jack, and of course your prized collection of fast-food receipts. 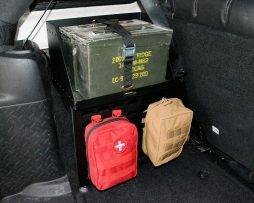 Fortunately, MORryde came up with their very own trunk storage solution to give you added space for whatever the need. 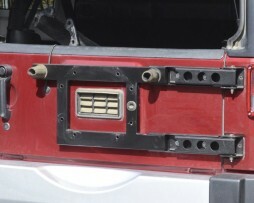 The MORryde Jeep Wrangler JK StoreGate is mounted to the inside of your tailgate and installs in just minutes. 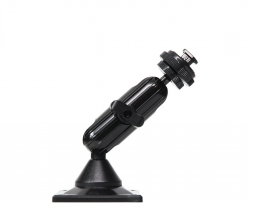 Secured with several screws and finished with a water resistant bulb-seal, the MORryde StoreGate allows you to get into “sticky” situations all while securing your possessions. 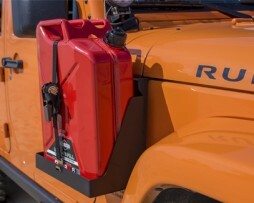 This heavy-duty trunk storage solution boasts a mighty 35 lb weight capacity. 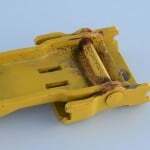 We offer two styles to pick from: hard cover lockable door version and a netted version. 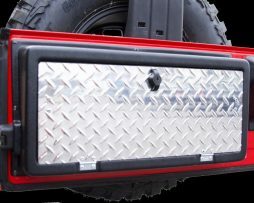 Our aluminum hard cover door boasts a mighty 35 lb weight capacity. 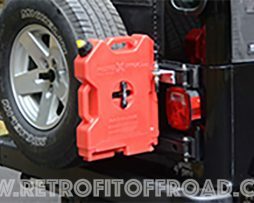 This heavy-duty trunk storage solution has a locking door which allows you to store more precious items inside and allows you to have peace-of-mind whether you are out exploring the path less traveled in a national park, or an aisle less traveled in your local grocery store. 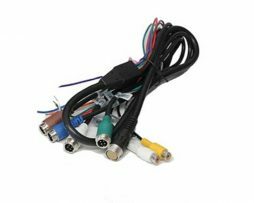 Our netted version, much like the hard cover version, offers added space, but with even easier access to the contents inside. 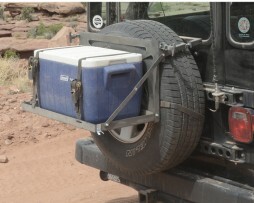 Perfect for storing an extra hitch, quarts of oil, or your tool set, the netted StoreGate maximizes your storage all while keeping your Jeep organized. 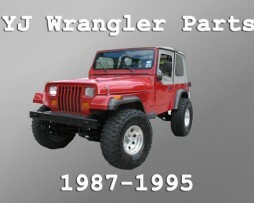 Have a TJ Jeep instead of a JK? 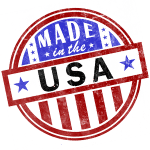 No worries, we have a couple options for you too. 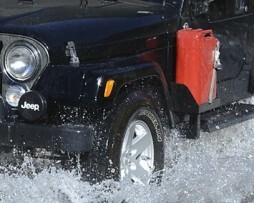 Whether you are a weekend warrior or a mom of four, your Jeep brings you a sense of adventure. 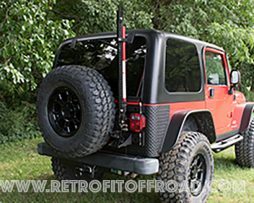 The iconic Jeep Wrangler TJ can be seen driving down the interstate or on the rugged trails of Moab, but regardless of where your Jeep Wrangler leads you, one thing remains relevant – there just isn’t enough space. 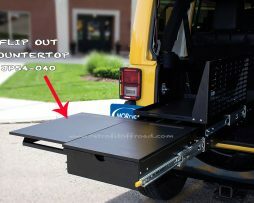 The MORryde Jeep Wrangler TJ StoreGate is mounted to the inside of your tailgate and installs in just minutes. 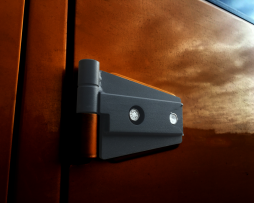 Secured with several screws and finished with a water resistant bulb-seal, the MORryde StoreGate allows you to get into “sticky” situations all while securing your possessions. 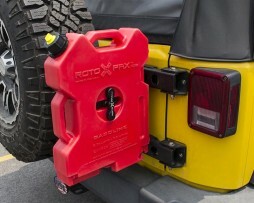 This heavy-duty trunk storage solution boasts a mighty 30 lb weight capacity. 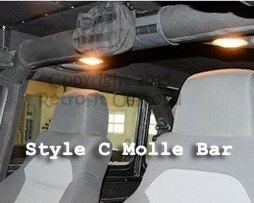 We offer a two styles to pick from: hard cover door version and a netted version. 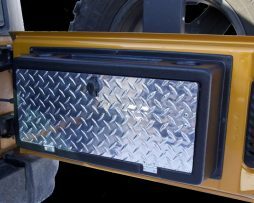 Part # JP54-028 – Our aluminum hard cover door boasts a mighty 35 lb weight capacity. 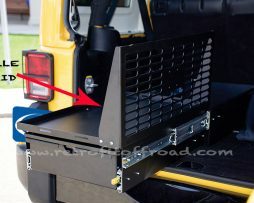 This heavy-duty trunk storage solution has a locking door which allows you to store more precious items inside and allows you to have peace-of-mind whether you are out exploring the path less traveled in a national park, or an isle less traveled in your local grocery store. 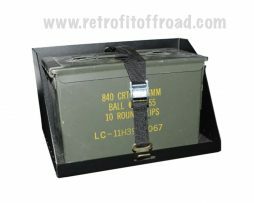 Part # JP54-033 – Our netted version, much like the hard cover version, offers added space, but with even easier access to the contents inside. 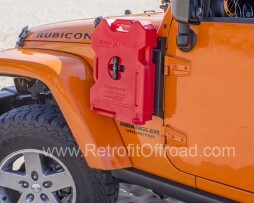 Perfect for storing an extra hitch, quarts of oil, or your tool-set, the netted StoreGate maximizes your storage all while keeping your Jeep organized. 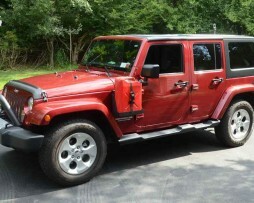 Have a JK Jeep instead of a TJ? 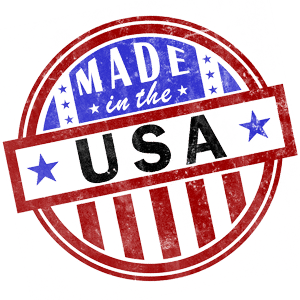 No worries, we have a couple options for you too.